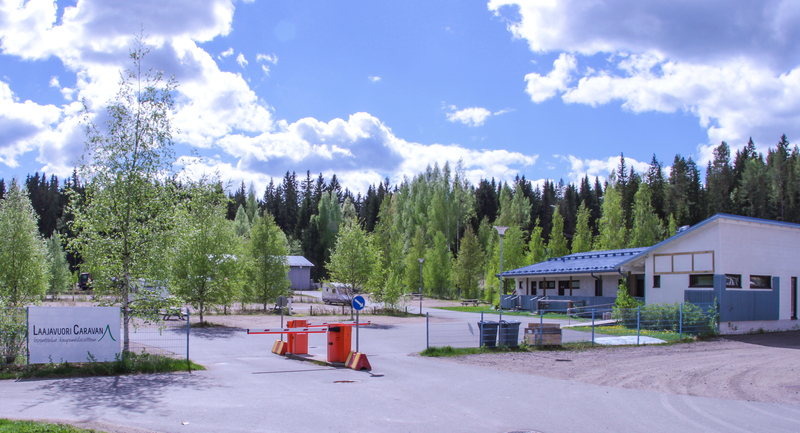 Welcome to Laajis, Jyväskylä’s caravan site! 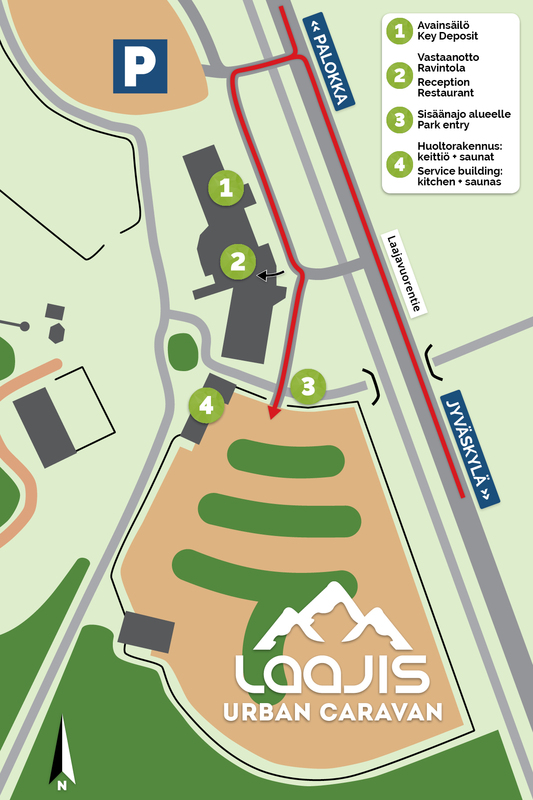 Laajis Urban Caravan site lies in only 4km from Jyväskylä city centre. It's easy to get here using bus or by bike. 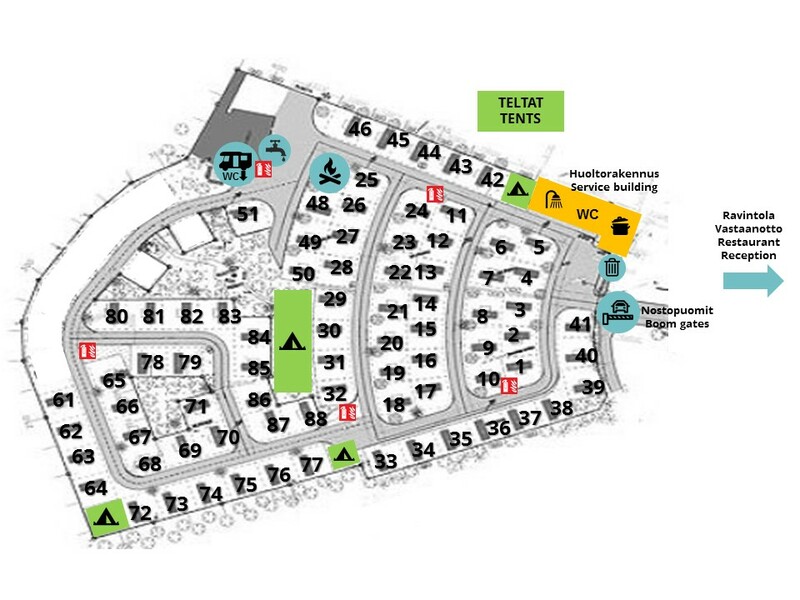 At the caravan site you’ll find over 80 high-quality trailer sites with own electric sockets, limited amount of tent spots and up-to-date facilities with cozy sauna. We also have a communal kitchen with a lounge. Among nearby services you can find everything between breakfast, spa and numerous activities. There is also possibility for laundry room use at the hostel for caravaners. Reception’s phonenumer is +358 207 436 436. You can book the place by e-mail (caravan@laajis.fi) or by calling to our reception. Our office helps with bookings on workdays 9.00 – 16.00 (+358 400 114 157). If you do not have a pre-reservation when you arrive and our reception is closed, please contact our service number (24h) +358 10 418 3401. We accommodate our caravan guests around the clock (24h) if there is free places. Why to choose Urban Caravan? * Possibility for laundry room use at the hostel (ask for more). 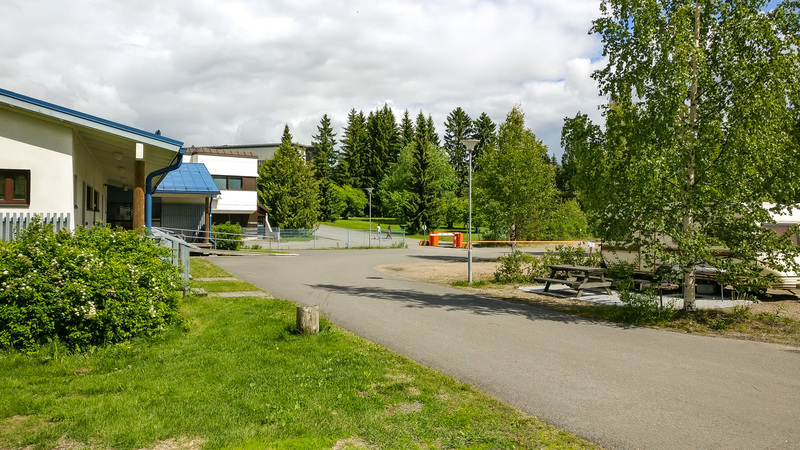 Caravan site is on easy access to come from Jyväskylä center. 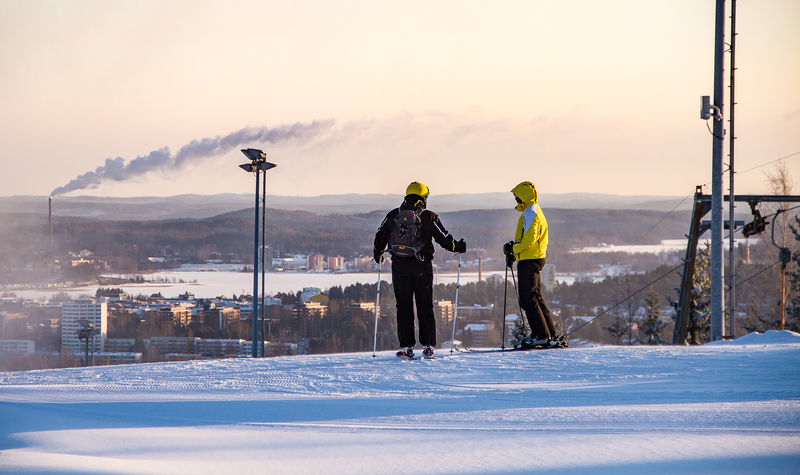 From Jyväskylä city services and nightlife you get to enjoy easily with local bus nro 25. With bicycle distance to center is under 4km. Palokka shopping center is just few kilometers a way. Every city service is available near. More info about Jyväskylän happenings and services is to be found VisitJyväskylän homepage. Caravan site's service building is available for caravaners free use 24/7. Gate and doors of service building are opened with keycard, which you ger from reception. Pets aren't alloyed in service building, icluding shower and laundry, because our allergic guests. At the caravan site service building there is a clean double kitchen and dining room. Facilities are wheelchair accessible. Two saunas at the caravan site service building, one for men and one for women. Open Wed, Fri and Sat 19.00-21.00 (changes are possible). On other days, possibility for sauna at the hostel. At nearby Vuorilampi there's smoke sauna, that can be reserved for use. There's a laundry room in the facilities of hostel which is in use for caravan guests too. The laundry machine works with 1€ coins (2€/wash). Just beside the caravan site services Urban Kitchen -slope restaurant. Restaurant is also serving breakfast for hostel guests. Breakfast is served 7.00-10.00 on weekdays and 8.00-10.00 on weekends (changes are possible). Kids place and ball pool can be found in the restaurant. You can empty your chemical toilet next to the service hall in the caravan area (the well is in use when ground's not frozen). In Laajis you should take opportunities of area and not just stay sleeping in van! 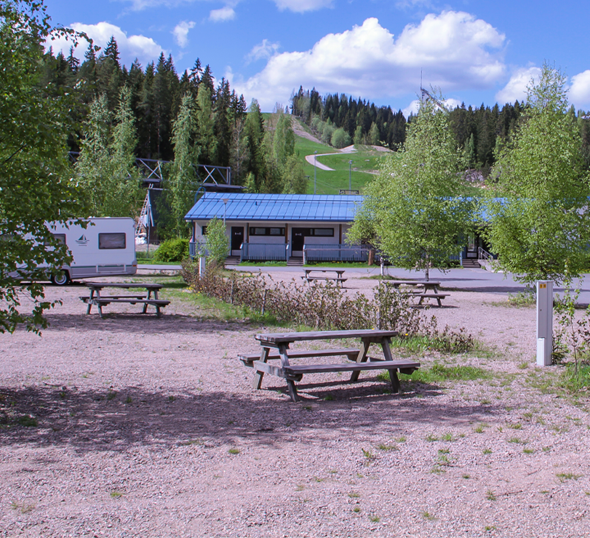 Of course just resting is alloyed, but near caravan site you find slopes, illuminated skiing and running tracks, amazing outdoor grounds and plenty of different activities over the year. Spa is just 400 meters away, if you want to relax after a hard day. In site electric bicycle renting is also availabe. Laajis disc golf tracks are also amazing and really worth of using. Near, just few hundred meters away in Vuorilampi, swimming place is found. From area you find plenty recreation- and acticity possibilities. In Laajis, you find also Kipinä Personal Training Studio ja a gym. 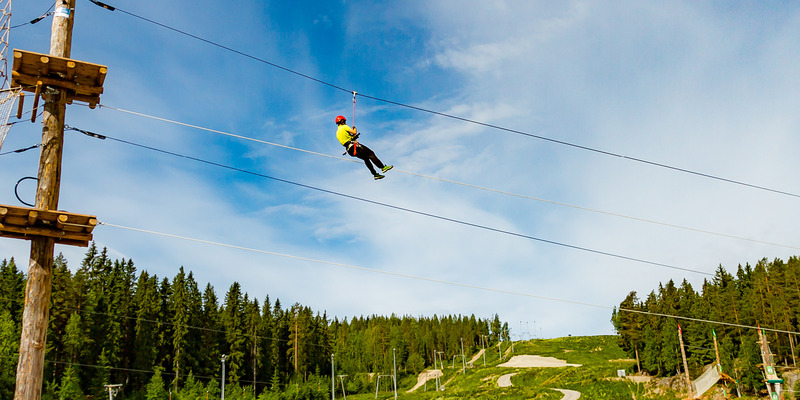 At summer season Kipinä arranges also outside training with a affordable price, that are open for everybody.